If you’re in the market for a new point & shoot camera (or 10 of them), then the liquidation of Vivitar UK’s stock might interest you – particularly, if you’re in the UK. King Sturge, a European property consultant, will be conducting an online auction October 14-16 as a result of the sale of the Vivitar brand to Sakar International. 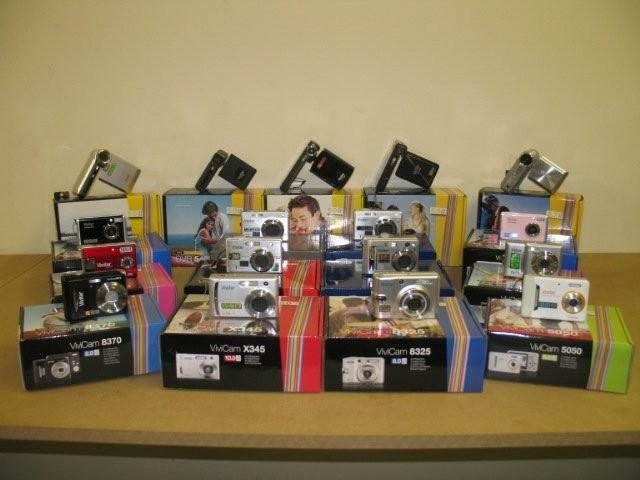 The auction will consist of 999 lots (many of which contain 10 new/boxed cameras) of Vivitar UK’s remaining assets. If you’re outside the UK and want by a camera or 10 of them, consider that the cameras packed with rechargeable batteries have UK pronged chargers.